This call is on behalf of the epilepsy bereaved community, calling for unity among the epilepsy world so that epilepsy deaths can be reduced sooner rather than later. It comes from a gathering of close to a hundred bereaved people last weekend. The families shared their struggles and flagged up their priorities. The weekend ended on mother’s day with the families reflecting on what they want as their legacy to date as a tribute to all those who have died. Epilepsy mortality is increasingly moving to the foreground of the epilepsy community, with multiple campaigns focusing on epilepsy deaths. Whilst awareness among the general and epilepsy populations may increase due to this, it is important care is taken to approach this topic sensitively. There is also a danger that without unity the key learning and priorities of bereaved families will be lost or marginalised; and their voices no longer heard as a legacy to those who have died. Our community has led advocacy on epilepsy mortality before and since the National Sentinel Clinical Audit of Epilepsy Deaths report in 2002, which found that 39% of adult deaths and 59% of child deaths were potentially or probably avoidable. The campaign for this report was coordinated with all organisations, showing what can be achieved when the epilepsy community unites for a common cause. Support tools are available now to empower doctors and patients to talk about risks known to the research and clinical communities and how these can be reduced. SUDEP Action worked with UK-wide researchers to identify a broad statement of research needs in 2014, and to develop the Epilepsy Deaths Register: a single reporting point which recruits for research and supports the bereaved in providing information about epilepsy deaths; helping inform future work in tackling this issue that has devastated their lives. Ongoing surveillance of epilepsy mortality is needed not just as a one off, but going forward. Our community is concerned, however, that deaths, where they can, are avoided sooner rather than later, as while interventions into epilepsy deaths are being researched and developed, deaths will still happen unless action is taken to help those living with the condition now. The epilepsy community can help this to happen by joining forces and resources; playing to our strengths and working together. Things can and are being done within the epilepsy community now in order to reduce the number of epilepsy deaths occurring, and with proper collaboration and unity this could be achieved much quicker until a time when a proven intervention is ready. We are already working with many individuals, health professionals and organisations across the UK & internationally who are driven to tackling this issue; their support and dedication is invaluable. However, it is now time others join with us in order to recognise all the work that has and is being done on epilepsy mortality and to move swiftly together to push forward as a strong and united force. SUDEP Action is the world-first advocacy organization on epilepsy mortality and is the UK charity for the support and involvement of bereaved families in the cause of avoidable mortality. The charity specialises in risk, particularly risk monitoring and reduction in community & personal settings, to help improve outcomes for people with epilepsy. We are credited as successfully tackling a global taboo on epilepsy mortality. Tackling risk sooner rather than later is a priority for us and we are working with research and clinical teams and epilepsy organisations throughout the UK and internationally to promote and develop our risk support tools for families and professionals. We also have services to support our care pathway for the bereaved. SUDEP Action is the only UK charity with the expertise and track record to support and involve the bereaved in the cause of avoidable mortality. At present we thank those epilepsy organisations and health professionals who signpost families to us in the immediate aftermath of a death when families may need us most. We are more than a listening service or a generic counselling service. We run a unique, professional, and personalised service which is informed by the research and involvement of our community. It is tailored to what families tell us they need for their grief journey, wherever that takes them. After 20 years we continue to have a policy that 50% of our Board has experience of epilepsy mortality in their family, so this remains at the core of what we do; likewise, 40% of our staff have also experienced an epilepsy bereavement. 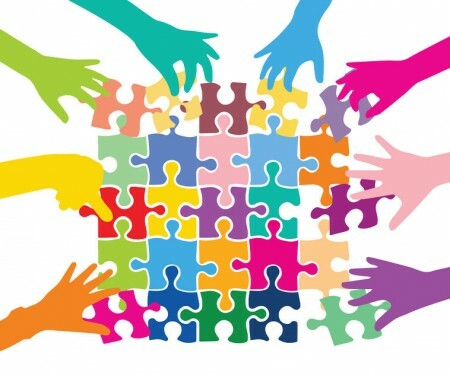 Our community is calling for unity and wishes to invite organisations that recognise the work that we do to connect with us so that we can move forward in a collaborative and coordinated way. By working together, we can be stronger and make sure that lives are saved sooner rather than later. This open letter invites you to connect with our community through SUDEP Action; whatever your role or interest in the epilepsy community. You can join our call for unity and show your support by completing the form below. Your name, or the name of your organisation.